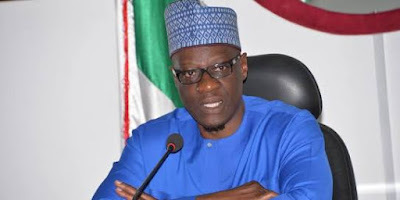 The Governor of Kwara State (Dr) Alhaji Abdulfatah Ahmed, yesterday, said N8 billion has been committed to Ilorin water reticulation project in the last seven years to tackle the problems of water supply in the state. He explained that the water project has been categorised into three sections, which according to him has been going on without any hindrance. Ahmed added: “The primary section has been completed, while it only remains the secondary and tertiary aspects, which will soon be completed and by this the target of water for all would have been achieved. Governor Ahmed also said the administration has renovated about 17 water works across the state in his bid to ensure that water is available to all categories of people across the nooks and crannies of the state. He added that his administration has provided boreholes to over 400 communities in the state and that so far his administration has fulfilled its election promises to the people in the last seven years, stressing that his “superlative achievements” was due to the legacy continue strategy of the past administration in the state.